I love Henry Cole's illustrations and I have really enjoyed some of his previous chapter books personally, but honestly - they are a hard sell for kids. 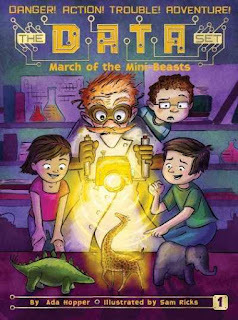 I was willing to try again though, so when I got an email from Peachtree that they were offering packs of ARCs for book clubs I decided to try this one with my Rock 'n' Read, 3rd-5th grades, book club. Naturally, that meant I needed to read it too! 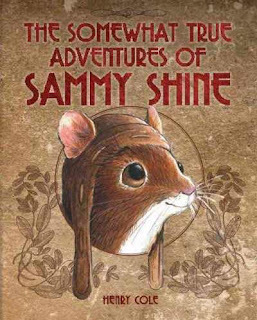 The story begins with two brothers, one a devoted tinkerer, who has built a plane and is eager to try it with a real passenger - his brother Hank's pet mouse Sammy Shine. Hank refuses, but Jimmy does it anyways and, of course, the plane goes out of control! The story then switches to Sammy's point of view, as he finds himself careening over a forest in a plane. Despite figuring out how to fly the plane, Sammy crashes and is taken in by a group of wild field mice. He has an interesting adventure and collects a band of new friends, traveling through the forest to find his missing plane and avoid the nasty weasel and his hench-rats, and eventually makes his way back home with a new group of friends. Henry Cole's pencil sketches appear frequently throughout the book, showing two snub-nosed boys, a plethora of friendly (and not-so-friendly) forest creatures, and plenty of details of the woods. The story is inspired by a childhood experience of the author's (although no details of said experience are given) hence the "Somewhat True" portion of the title. Cole has a lovely, relaxed style of writing which emphasizes small details of weather and nature and the feelings of the various characters involved. It's not a fast-paced adventure, although there are plenty of moments of action, and if anything is an ode to tinkering with the various workshops of humans and animals lovingly described and pictured. The book has a large font and simple plot as well as the illustrations make it seem like a natural beginning chapter book. However, at almost 300 pages long, there are very kids who won't balk at being confronted with a book of this length, especially young readers. I've been reluctant to purchase this type of book in the past - it has a very narrow audience. Younger readers who might enjoy the quieter storyline can't handle the length and older readers, who can handle the length, want more excitement and action. 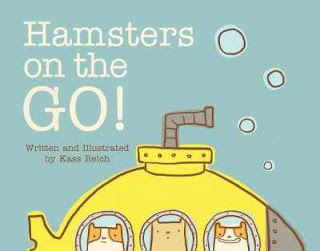 However, this would make an excellent read-aloud for kids who can sit still for a longer story and I do have some very high-level younger readers so I'm willing to give it a chance. Verdict: While I wouldn't make this a priority purchase, if you have the audience for this type of story it will be very well-received. It's a good choice for strong readers who are ready to tackle a longer chapter book or for older readers who want a fun story without too much tension. Book Club Verdict: My older book club is in a bit of transition - some long-time members have moved away and others have been unable to come due to scheduling conflicts. I did give out about 5 copies of the book and two kids finished their copies. One said he didn't like it - he knew what was going to happen all the time (we agreed the book was too predictable for his tastes) One really loved it - she loves mice stories like Geronimo Stilton. The others who took the book weren't interested enough to do more than start it. This book reminded me a lot of Minibombo's similar Black Cat, White Cat but it's unique enough to stand on its own. Bold black and white silhouettes show black cats in white houses and white cats in black houses. 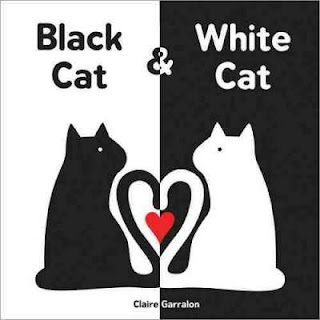 When Black Cat and White Cat meet, they disappear. It's fun, but not what they want. In the final spread, they find a place they can play together - a world of glorious color. Bright, simple illustrations made of clear, sharp silhouettes are just the thing for young eyes. 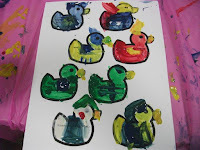 There are lines to trace and follow and simple shapes to identify. Babies and very young toddlers will probably not pick up on the way the colors work - the cats blending into their colors - but older toddlers will and there is plenty to catch the eye for all ages. 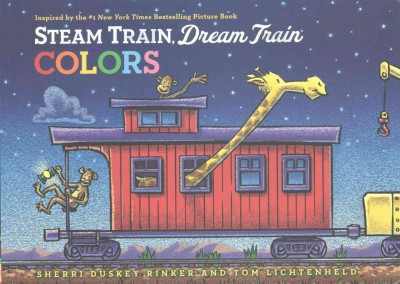 Verdict: A clever and attractive book that will appeal to a wide variety of ages from babies to toddlers. Recommended. 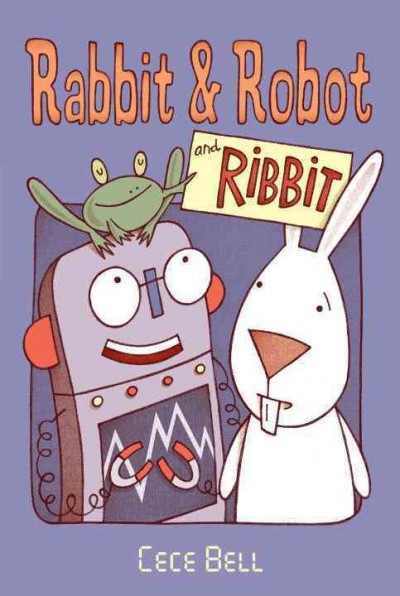 Barnett and Rex, masters of the meta, return to another book within a book in this latest title. The book starts with an idea. The idea becomes a first draft. The first draft becomes many, many, many drafts (if you burn them, it will scare away the tiger). Then the book goes to an editor. Then back. Then back again. Finally, the words were good. Even the tiger agrees. Now it's time for the pictures. Finally, the book is done. But now it has to be printed! Then the copies of the books have to be sent back to the United States. Oops, pirates! Fortunately, pirates don't read. Finally, after many adventures the book has a reader - you. And now it is finally a book. 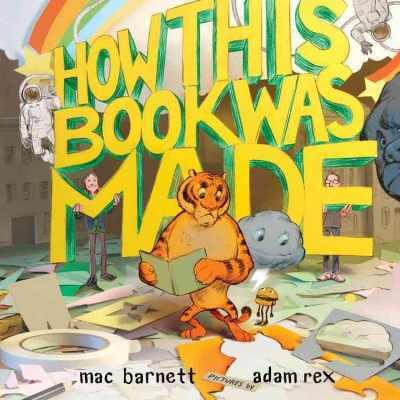 Adam Rex's quirky illustrations blend with the silly tone of the book; while the text talks about the process of making a book, the illustrations show giant machines, annoyed tigers, lines crossing the map, and, of course, pirates. I think this would be most likely to appeal to an older audience, especially if used in a classroom that is studying authors or working on creating their own books. Unlike their previous meta-book, Chloe and the Lion, there isn't as much side plot in this and it's just not....as interesting. I have a hard time seeing it working as a group read-aloud or holding kids' attention. Verdict: Fans of Barnett and Rex will definitely be interested in this, otherwise it has most use in a classroom. It wasn't as funny as I'd expected and didn't have the readability of some of their other titles. 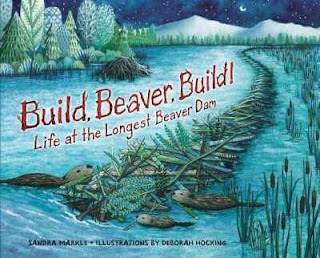 While my favorite beaver books remain the books of my childhood, Beaver on the Sawtooth by Berniece Freschet and The Beaver Pond by Alvin R. Tresselt, there's no reason a new generation can't have a favorite beaver book and this is a good candidate. The story is told from the point of view of a young beaver kit. He is just three weeks old and experiences the excitement of life on the family's dam, avoiding predators, playing with his sisters, nursing and eating bark. As he grows stronger, he begins helping the family collect food for the winter and strengthen the dam, as well as warning off predators and other beavers. Through the cycle of the year and the experiences of the young beaver, readers learn about a beaver's habitat and habits. Back matter includes additional facts about beavers and information about the dam featured in the book. There are also suggestions for other books and films to learn more about beavers. 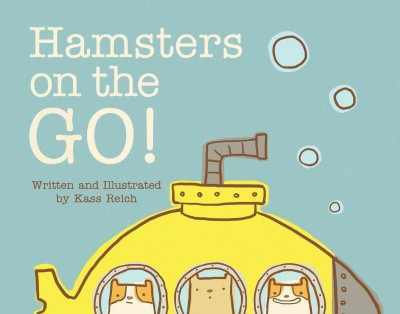 While this is a little longer than I'd usually use in a storytime, especially with preschoolers, it can easily be adapted for a read-aloud and is perfect for a kindergarten or first grade audience. The rich backgrounds, heavy with the blues and greens of night-time, showcase the adorable furry kits and their busy parents. In short, I'd hang these pictures on my wall. Verdict: A lovely and informative book, perfect for updating your books on beavers. Highly recommended. him home with me, the world would have been a better place. I stole this picture from Angela, b/c I forgot to take my camera! No programs. I went to the Performer's Showcase. There was a very fluffy bunny. We need the bunny to visit our library. Also snakes, which I adore, but we always have snakes. You wouldn't think that 3 extra hours would make that much difference, but on top of working 6 days last week and the drive and time change, it's going to be a long week, full of yawns. It was hot (I know, it's November, but it was hot inside). I cleaned things off my desk and meditated on the meaning of life, i.e. planning all the things I have to do. Big group at book club! Woo! I don't remember what I did. I'm sure it was important. Besides four storytimes I mean. Very small group at Lego Club, but that was fine because I was deeply engrossed in finishing setting up the Scholastic Book Fair and complicated Time Math. Also, we had a new family at Lego Club and some old friends came back to visit plus lots of middle school volunteers! We couldn't have taped colored circles all over the library without them! This is an example of why having a performer isn't just sitting back and letting it happen! I invited all three of our four year old kindergartens and the two largest (74 kids and 37 kids respectively) came. I put together self-guided tours for the largest school to use before the program and my staff taped down guiding circles around the library. Lots and lots of circles. Then I reminded the schools, got all the contracts signed, etc. That was all before the big day! This morning I broke down all the tables (with the help of my colleague who might not do that again since he was the one who discovered the mouse and had to put out traps...) set up chairs, taped the floor, set up displays, and kept an eye on the tours. Then I got everyone arranged in the room, took pictures and was available during the performance for emergencies, and supervised the leaving (I'm always worried the kids will end up at the wrong school, although it's never happened!). Evaluate performers, make sure everything gets picked up, and done! I'm done. That was a long week. This is going to be the focus for this month. I'm writing up a couple things I went to last month as well as working through articles and webinars I've saved up. Started creating a bank of reader's advisory tags for my juvenile display. Read-alikes for Spirit Beasts - Sutherland's Menagerie, West's Dragon Masters. Hmm. Not totally happy with these recs. teacher requests for nonfiction pairs - this was fun and harder than I thought it would be! Made a new fan of Dragonbreath. I am pleased. "I loved it because I love books about mice"
Only one reader made it through this one. 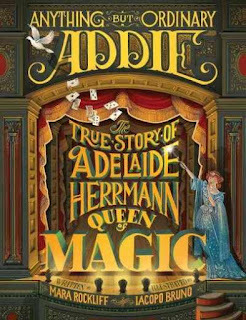 She loved it, especially the funny parts and the magic but found it almost too scary when it got to the part with the shadows. The one reader of this one hadn't quite finished it. She said it was really confusing at the beginning but it was very exciting and she was definitely finishing it. (I couldn't find enough copies of the previous series but we should have started with that one). I think four kids read this. The general consensus was that it was very funny, especially the flying cats and the sea serpents, but they read it so fast they didn't really remember much to say about it. Posey is worried about first grade. She's going to have to walk in and down the hall all by herself! Worst of all, she can't wear her pink tutu, her most comfortable and special thing to wear, the thing that makes her Princess Posey, who can do anything. Then, to make things worse, the big boys next door tell her a scary story - is there really a monster in the hall? It takes an understanding grandparent and a special teacher to make the first day of first grade special - not just for Posey but for everyone! This beginning chapter book is perfect. I'm a bit tired of the quirky and in-your-face beginning chapter book girls - it's nice to a see a, well, not really shy, but just ordinary one. Posey is talkative enough at home, she whines and fusses, she has things she likes and things she doesn't. But it's pretty obvious she's not the class clown or the girl the teacher is constantly shushing. 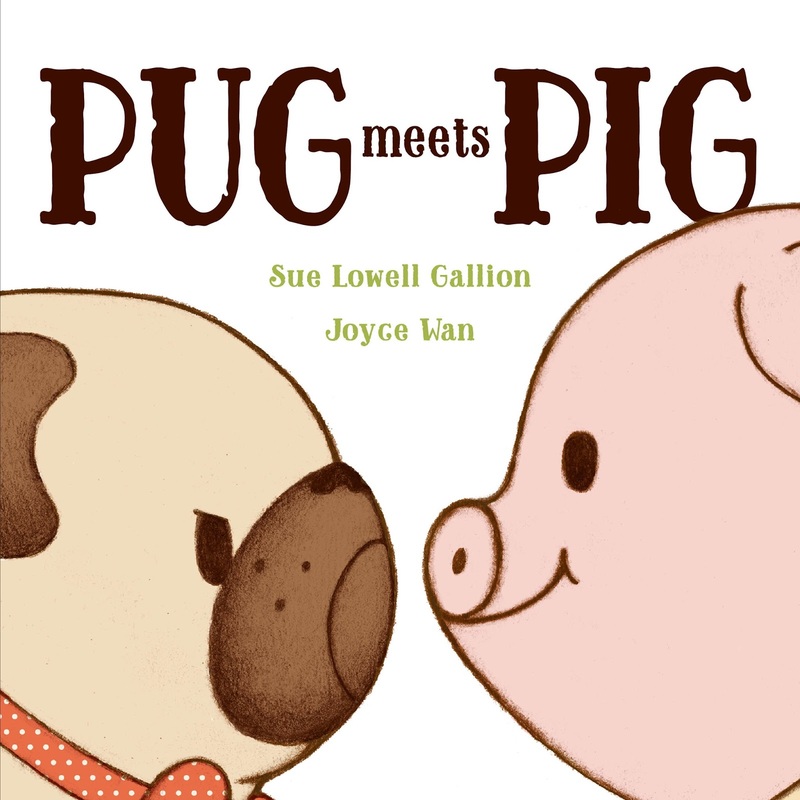 A sweet beginning chapter book for any nervous first or second grader. 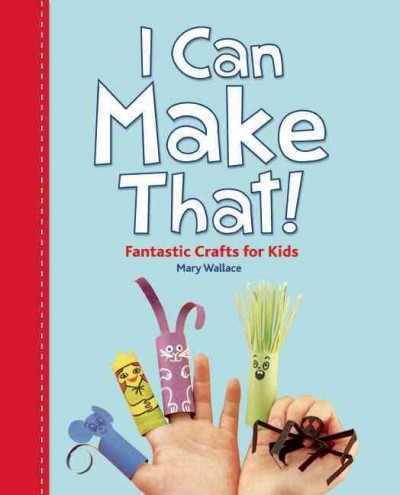 Kids can sympathize with Posey's worries, her feeling that her baby brother gets more attention than she does, and her shocked surprise at meeting her teacher in the grocery store. The story even includes some fun questions at the back - and teachers may want to try out a first grade parade for themselves! Sisson's art perfectly matches the story, showing Posey and her family and their daily lives in simple, pleasing outlines. Maybe charcoal pencils? There's a nice touch of glitter on the cover and the first grade parade, although small for a normal first grade class in a public school, has a nice mix of characters. Verdict: A fun and sweet series about an ordinary little girl. I'm looking forward to this one and the sequel coming out in paperback this spring so I can add them to my series collection. ISBN: 978-0399251672; Published May 2010 by Putnam; Borrowed from the library. This was a fascinating take on the "historical war stories" genre. Each chapter addresses a different battle where soldiers battled a major natural disaster or challenge in addition to the opposite forces. The battles include historical wars; Hannibal tackling the Alps, British soldiers who were defeated not only by escaped slaves on Jamaican plantations, but also by the topography of the Blue Mountains, Wei Qing in the Gobi Desert, Ecuadorian forces on the Pichincha volcano during the 1800s, and Napoleon's famous battle against the Russian winter. There are also more contemporary man vs. nature confrontations; The U.S. Navy in World War II battling a typhoon, Canadian soldiers in the Passchendaele during World War I, India and Pakistan's conflict over the Siachen glacier, the Cu Chi tunnels in Vietnam, and Allied forces searching for Osama Bin Laden in the Tora Bora caves. Each chapter not only discusses the action and tactics, but also the human cost of war, how the battles changed history and affected the war, and the aftermath of the battles and what happened to the people, both soldiers and civilians, involved. The conclusion discusses how weather and topography continue to affect human wars and whether we've learned anything from the past. Further reading, sources for each chapter, photo credits, and an index are also included. I found this a fascinating collection of stories and one that will be a sure hit with readers. 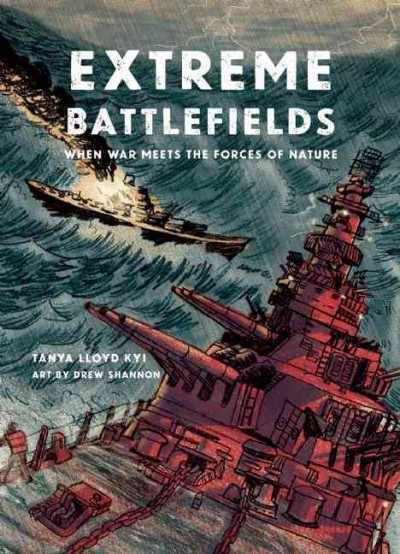 It will appeal to kids who are interested in battles and disaster stories, like fans of the I Survived series, but also is much more than just a collection of battlefield heroics. It includes stories of battles that many kids will be unfamiliar with, stepping outside the typical "good guy vs. bad guy" war stories to include other viewpoints and battles, like the uprising of slaves in Jamaica. It brings up more complex aspects of battles and war to consider as well. Verdict: A good choice for your history section. Recommended. 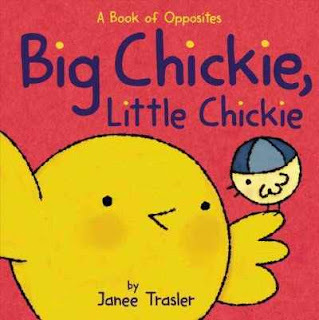 The chickies are back for another silly, fun book. It's picture time and the chickies are getting ready. They jump in and out of the chest to look for clothes, whisper and shout, make little and big costumes, and finally get their picture taken with a silly pig. They look at the pictures of smiling and frowning, of hatching from their eggs, and remember all their fun adventures. This is supposed to be a book of opposites, but I found the concept aspect of it to be weak. 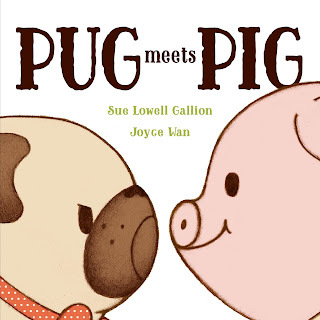 The interruptions of the pig and cow threw off the rhyme and the opposites and the concept was weak at best. However, as a cute, funny story it works quite well. The book is a sturdy square with a slightly padded cover. I prefer to avoid padded covers because they tend to, in my experience, be less sturdy. I've had to replace several of the Chickie books previously due to this. However, this series is popular enough that I'd overlook the padded cover and purchase it anyways. Verdict: While I wouldn't recommend it as a concept book, it's a fun addition to a popular series that parents and kids enjoy. Ninja bunny is leading his band on a mission to find the Golden Carrot of Awesomeness. Unfortunately, there's a problem - his little sister. She's determined to follow along and participate, since she's a ninja too. Ninja Bunny is sure she's too small and he and his friends hurry on their way. But it turns out that "little bunnies can be awesome ninjas!" and little sisters are pretty cool too. 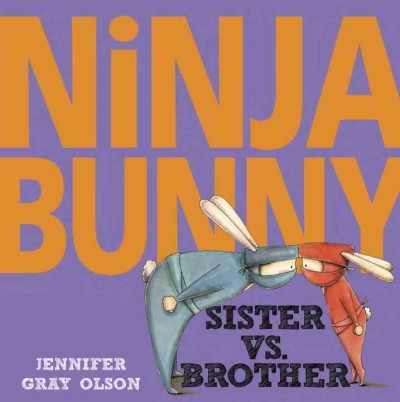 The ink and watercolor illustrations are sweetly humorous, especially the bunnies doing their ninja moves. The mixture of comic panels and full page illustrations capture the movement of the plot as well as the bunnies to perfection. As a librarian, I appreciate the readable font, which makes this a nice storytime choice. Verdict: Whether or not you purchased the first book in this series, Ninja Bunny, you'll definitely want this one. You can never have too many books about being small and playing together, especially if, like me, you work in a community where most kids have siblings! No guarantee that readers won't try out a few of their own ninja moves though. 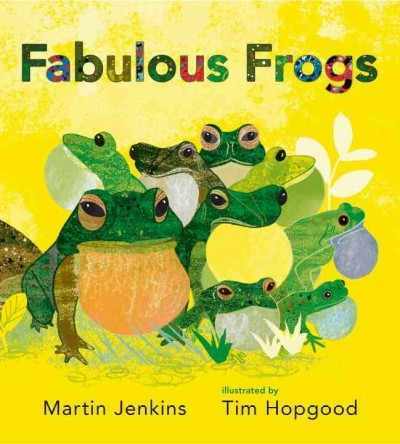 Jenkins and Hopgood are both experienced British authors who have turned out plenty of picture books and nonfiction titles, but neither of them really clicked in my mind until someone had the brilliant idea of combining them to create an absolutely fabulous book about Fabulous Frogs. The endpapers begin the fun with deep blue water and cloudy splashes of green algae dotted with black tadpoles. A bold yellow background introduces the basics of frogs and then the information begins. Each spread features a different frog with a simple sentence, perfect for reading aloud. Additional information about the specific frog is included in a smaller paragraph. "This frog never leaves the water" accompanies a textured brown frog with pinkish feet. The small paragraph tells the reader it's an African clawed frog, along with a simple fact or two. The final spread shows some more pictures of frogs and gives a simple index to the previous pages. This is the same format as Candlewick's stunning books about Australian animals, but Hopgood's illustration style is a whole different ballgame from the swirling, messy watercolors of that series. Brilliant colors, emphasizing greens, and art that appears to combine lush paint and cut paper collage explode across the page. The vibrant colors showcase the amazing variety of frogs and their unique talents perfectly. Verdict: You can never have too many frog books and you absolutely must have this one. Perfect for storytime, kids reading on their own, or introducing kids to different kinds of frogs. Highly recommended. No school today. For the first time in my memory, Elkhorn scheduled its trick-or-treating on a day when we were open. After eloquently arguing at the staff meeting that we need double coverage from 5-6, 5-6 was....dead. In fact the entire evening was dead. Possibly the pheasant who flew into the window is dead also (not really, it ran off afterwards). We checked out 45 books at Bookaneers! The kids are really getting into the reading spirit! Got hit with storms coming and going - had to cancel the planned 1st grade visit. We melted crayons at the youth center for two hours. The kids were into it. I came in late to work because I knew I was going to need to stay late. And also because I took ibuprofen and overslept. Well, these things happen. It was messy and chaotic and a ton of people came and we got pretty much everything that had been in the basement GONE. I went to a meeting of local youth services librarians at noon. 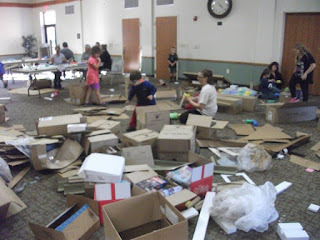 We had a lot of fun although I was a bit of a downer because I had a headache...then I went back to work for a few hours and then over to the middle school for space night. (it was actually for ages 5 and under, it's just the middle school is a handy place to have things). I still have a headache. I took: paper tubes, paper, tape, scissors and markers to make rockets. The Osmo, books and our remote circ, and event calendars. There were over 100 people there. Was it worth all the work? Only 50 people came. The weather has been really, really mild - last year it was icky and people wanted to be inside. However, the people who came loved it and I think the more we do it the more people will come. I am so tired. Patron excited about the new Listen 'n' Read (easy reader audio) bags. One of the book club moms complimented me on my patience. This is really nice to hear when I feel like things are getting chaotic! Several middle schoolers at the youth center revived interest in visiting the library which they hadn't done in years. Several teachers brought their kids to the Fairy Tale Adventure and were so grateful that we had done a Saturday program they could attend. I picked this up to read for my upcoming book club. 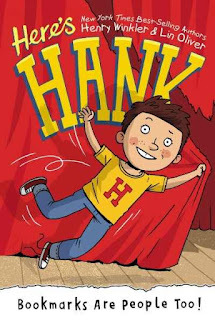 The popular Hank Zipzer chapter book series branched out into a younger, beginning chapter series featuring Hank as a 2nd grader. Hank is ready to tackle second grade. He's got a great teacher, a best friend, and he loves to make people laugh. Unfortunately, there are a few other things that aren't so great - like his reading, writing, math....well, school stuff in general. Hank is super excited when his teacher announced a school play but worried when he finds out that they have to read and memorize the script. Hank meets a new friend, Ashley, works with his original friend, Frankie, has encounters with the class bully, issues with his father over his problems in school, but ultimately uses his ability to make people laugh to come out on top. There are a few black and white, quirky illustrations and the book uses a font specifically designed for dyslexic and beginning readers. Verdict: Fans of Roscoe Riley, Horrible Harry, and other good-hearted class clowns will enjoy this easier series that features a relatable boy with a sense of humor and academic struggles. 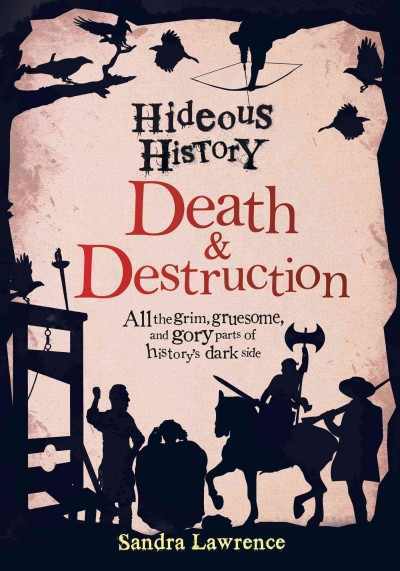 This collection of historical facts looked really fun, but it was a little disappointing in the end. The introduction talks about learning from the past to improve the future - "...Maybe, if we know about it, we can stop it from happening again." But this lofty goal is rather quickly forgotten - really, this is just a collection of gory and gruesome stories. And that's ok! OWN IT Hideous History! Kids love weird, creepy, and gruesome facts! The selection includes Boudica (often known as Boudicea) and after an action and gore-packed retelling of her legend, discusses the truth behind her existence and culture. Vlad Dracula also has a somewhat balanced discussion of the history surrounding his legend. The French Revolution isn't really something you can pack into four pages, so it's just a collection of some of the more gruesome stories and some speculation about the causes. There are two pages of stories about highwaymen in London, including Spring-Heeled Jack. Pirates includes stories of some of the most well-known pirates, including some women, from the 17th and 18th centuries. 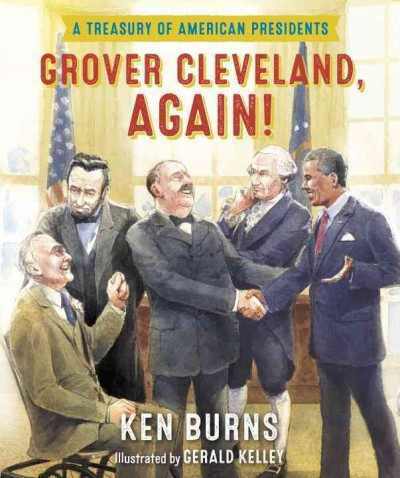 By this point, the book has mostly abandoned any pretense of educational value or balanced depiction of historical figures and is mostly just going for the gruesome. 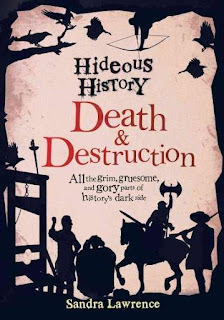 The rest of the book includes stories of the Chicago Death Hotel, Empress Wu Zetian, Al Capone, the deaths of several Roman emperors, and a section on Vikings that was extremely one-sided, sticking to the most common gory historical myths and hardly touching on their civilization as a whole. Richard III is not a surprise, but the Boston Tea Party is, considering that a major point (included in the book) is that no one was killed or attacked and only one man injured by accident. This is followed by Rasputin, which is definitely gory, and then the Civil War - but specifically its technology. Which...isn't really gory? There is an index, glossary, and acknowledgements but no sources or bibliography listed. The book is illustrated with colorful cartoons that don't over-emphasize the blood and gore but add a graphic touch to the collection. The writing veers from matter-of-fact retellings of events to occasional mentions of characters' feelings and behavior and the tone varies as well, sometimes being more in a storytelling vein and sometimes sounding more factual. It sticks pretty firmly with familiar, (i.e. male) historical figures and only includes a few non-Western examples. Verdict: This is most definitely not the book to hand to serious history students or to use as an example of historical research. It's not well-organized, doesn't even really stick to its own designation of a collection of "grim, gruesome, and gory" historical facts and there was at least one typo (page 38, if you're interested). However, I don't regret purchasing it and its companion volume, Trials and Treachery and I enjoyed reading it. It is accurate? No. It is fun? Absolutely! It's one of those books that kids will enjoy reading and picking up tidbits from and that you can use to inspire them to read further and research the topics in more depth and accuracy. An additional purchase for light reading. Ape and Armadillo are making plans to take over the world. But Ape isn't happy - why does he have to fight off all the monsters while Armadillo gets to ride into the castle and collect a magic wand? Ape comes up with his own plan, to get ice cream, but Armadillo thinks it isn't evil enough. Their argument grows until they both explode in anger and Ape runs away. After a little time apart, they reconcile and start a new game and this time Armadillo is a little better at compromise. Running along the bottom of the main comics are short, silly stories featuring the two characters. Sturm's art is bold and expressive in the main comics and in a lighter palette in the secondary stories. The comic panels alternate between full-page panels and several different arrangements of two or three small panels. This easy reader is listed as a Level 3, grades 2-3, for advanced beginners. This would be about right since the rapid change from the real world to the imaginary world, the small type and faint illustrations of the running gags below the main story, and the critical thinking skills required will need a more advanced reader to decipher them. While I do sometimes look for more advanced easy readers, right now and for the foreseeable future I'm focusing on emergent readers. For beginning chapter books, I'm looking for more positive, child-friendly titles. 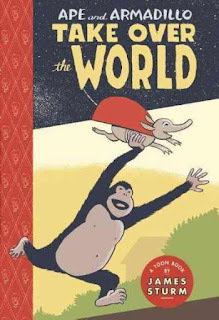 This just struck me as very negative, especially Armadillo's escalation to blowing up the world and Ape's miserable retreat. 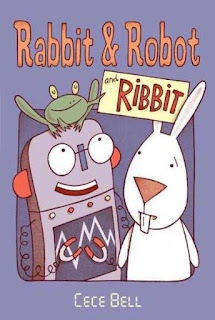 Verdict: I know Toon books get strong reviews, but they tend to circulate little, if at all, in my library and definitely not the more complex high-level ones. This isn't one I'd recommend unless you have a strong fan base for Toon books. 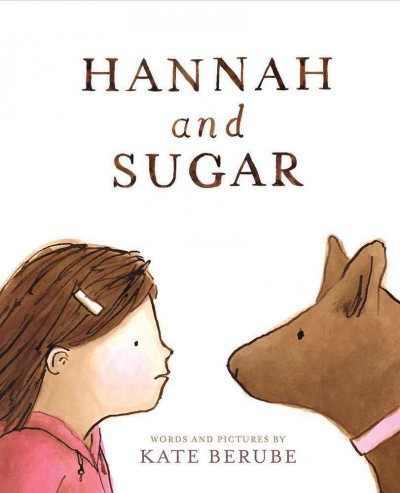 The soft, gentle pictures show a sweet but stubborn little girl and the patient dog who wins her heart and helps her keep trying. Madeline's class is diverse and I appreciated that the reluctant reader was a girl, not a boy. 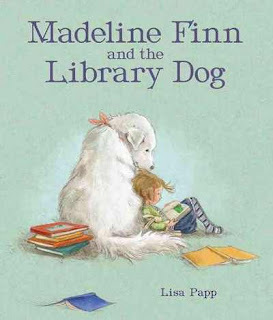 Libraries who have their own reading dog will note a few inconsistencies - there are a LOT of dogs pictured and I don't know any libraries who put that many in the same room. We also wouldn't normally invite a dog and her puppies to visit, however cute they are. However, the sweetness and delight of the book outweighs any minor details in my view. 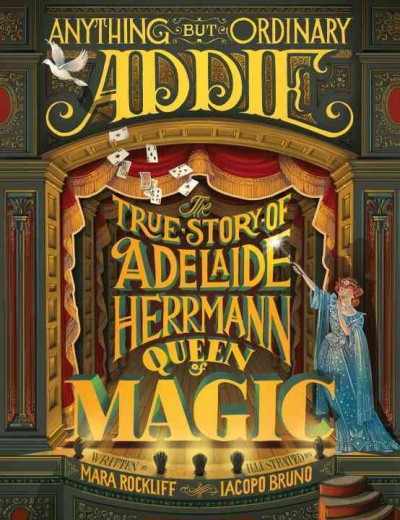 When I first saw ads for this book I was ecstatic - because my library has our own Bonnie! Her name is Pearl and she's been visiting with us for over a year. We've tried reading dogs a few times before but Pearl is the one who's really clicked for us. While everyone runs their program differently, what's worked for us is very casual. 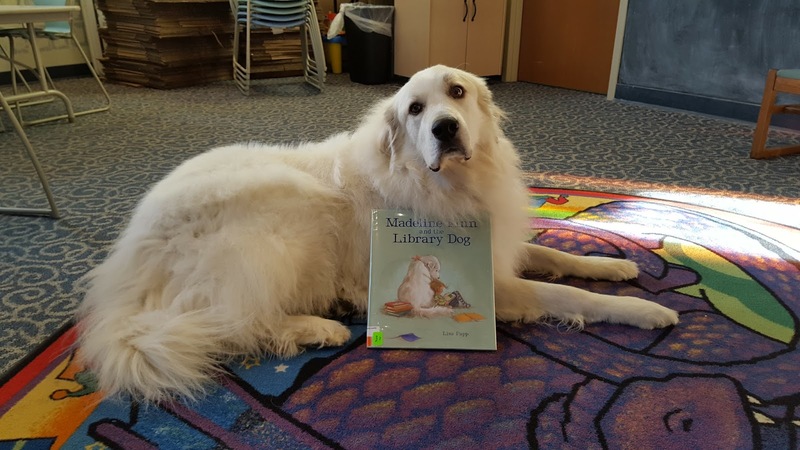 We've tried scheduling time slots with a reading dog in the past and it really didn't work for our community. 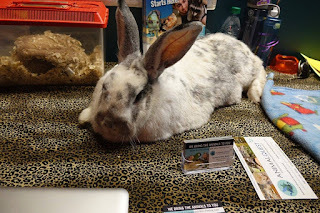 Pearl comes in, hangs out in the play area or Storyroom, and visits with kids. Like Bonnie she's a Great Pyrenees and they are very gentle and patient. She's been read to in English, Korean, and Spanish. She's been hugged by toddlers and viewed with awe by babies, cuddled by middle schoolers and oohed and aahed over by adults. I do strongly suggest having a certified therapy dog (which Pearl is) which will make things more relaxed and also gauging your community. 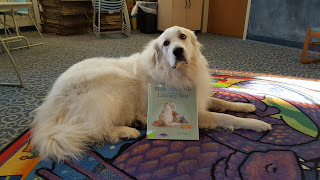 I have a lot of kids with special needs and some of them are afraid of animals so I make sure Pearl's time at the library is very clearly stated. We don't have any severe dog allergies, but I've scheduled Pearl late Monday afternoon and if there is going to be a program after her visit I'll swing through with the vacuum cleaner just in case. It also really helps to have a trainer who's awesome! Pearl's mom is great with kids and knows just when to ask Pearl to back off from a nervous child (she is awfully big) and when to gently encourage parents to step back and let their child meet Pearl and read her some stories! Verdict: Buy this book and get your library a reading dog! Talk to your community first and see what will fit best with their needs and interests and go from there.